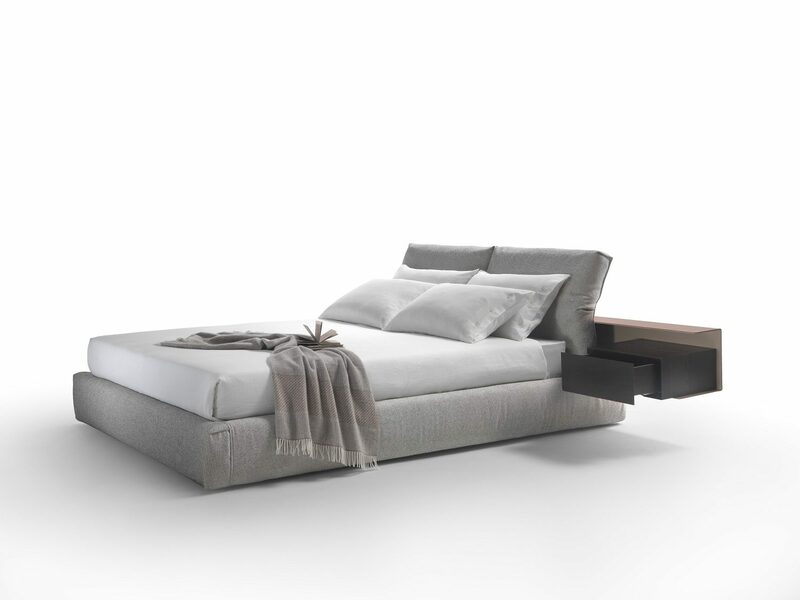 The bed is composed of a low headboard in metal with an original C-shaped section, covered in cowhide, which frames and adds character to the padded base. Two useful bedside units are attached at the sides of the headboard, each with a single wooden drawer, raised slightly off the floor. 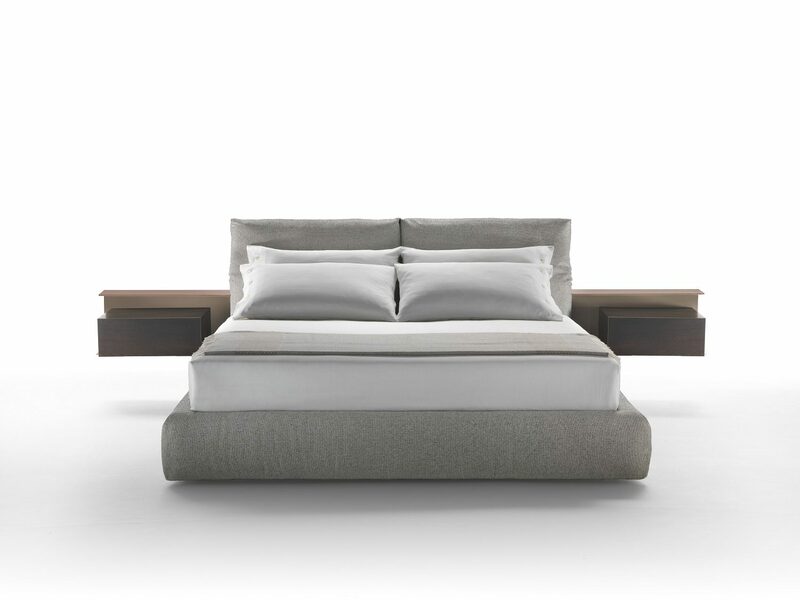 The elegant linear design of the headboard is completed at the center by two large reclining upholstered cushions. Placed against the headboard, they offer a comfortable position for reading or watching television.